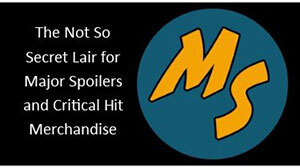 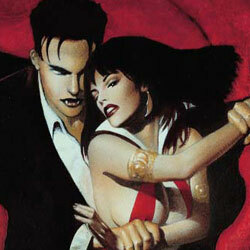 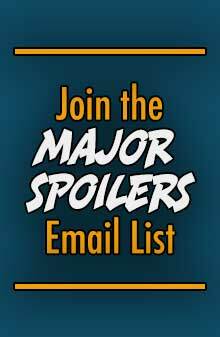 Dynamite Entertainment sent Major Spoilers a sneak peek of titles arriving in stores this week. Take the jump for an early look at Kirby: Genesis #1, Warlord of Mars: Dejah Thoris #4, Red Sonja: Blue One Shot, Green Hornet #16, Patricia Briggs’ Mercy Thompson: Moon Called #7, and the Vampirella Masters Series Vol. 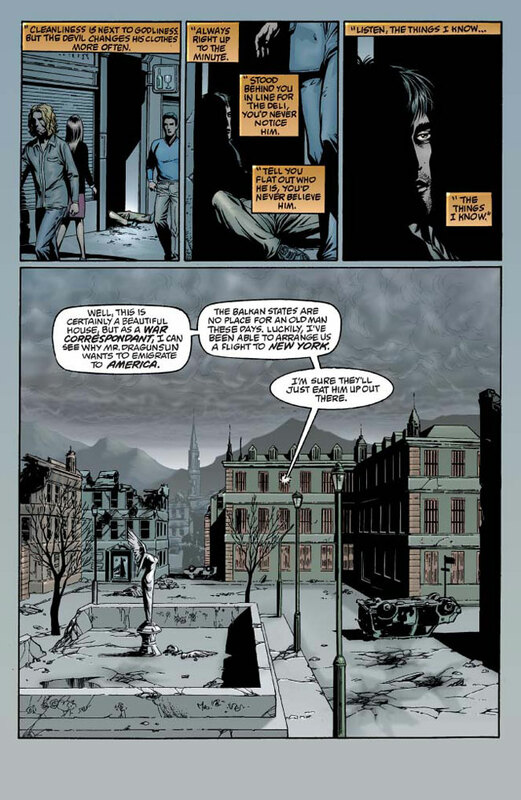 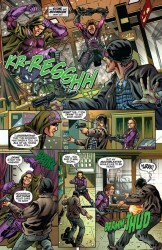 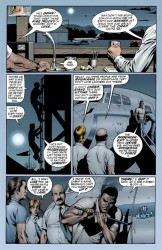 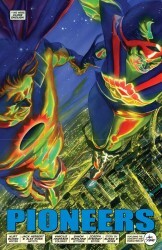 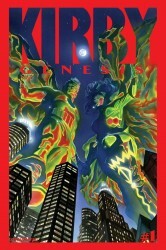 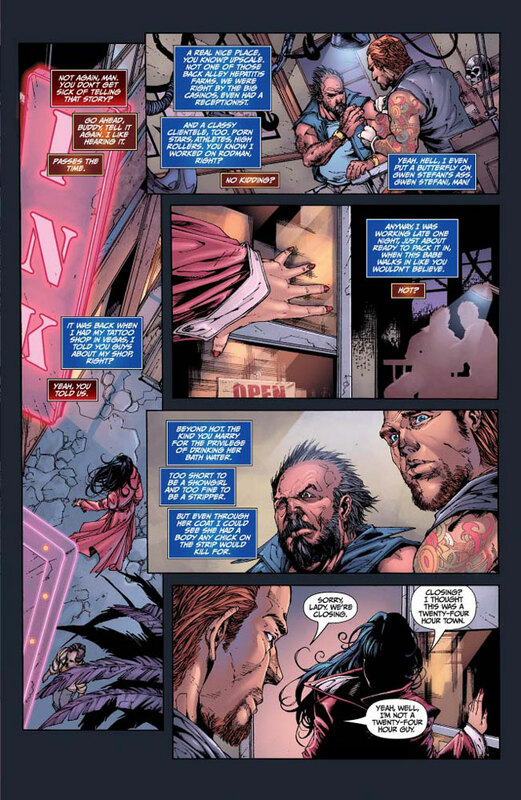 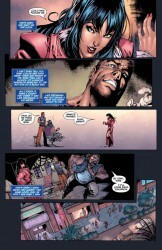 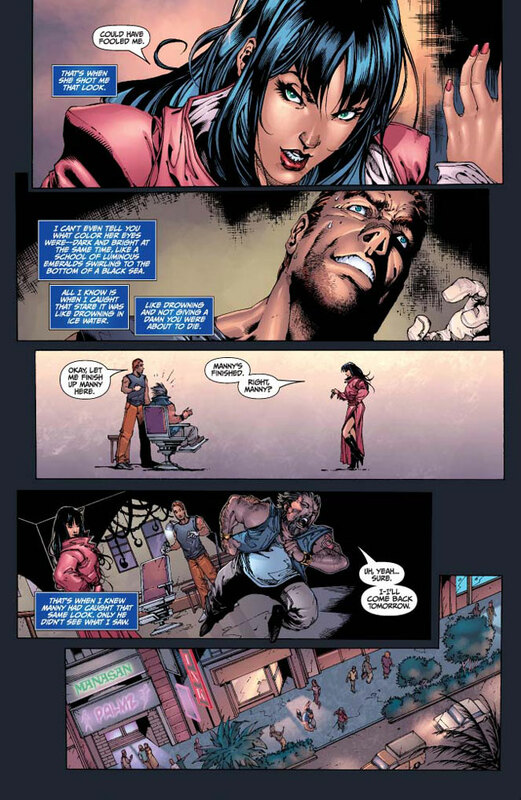 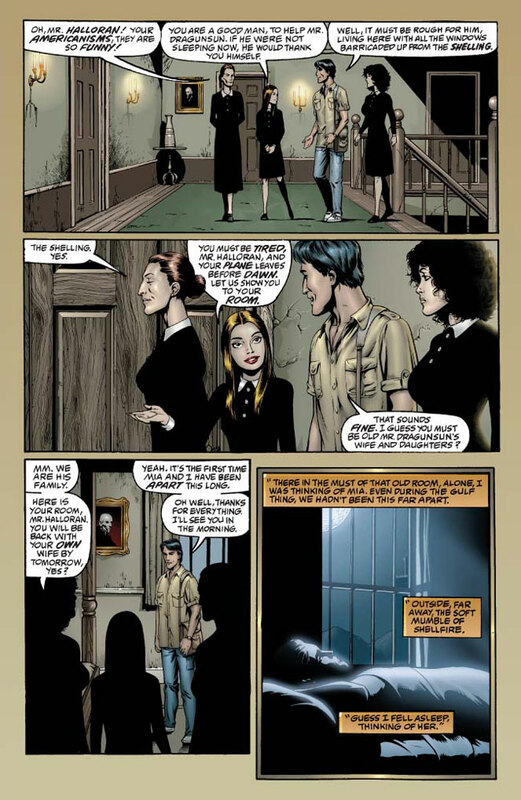 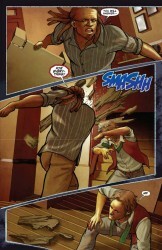 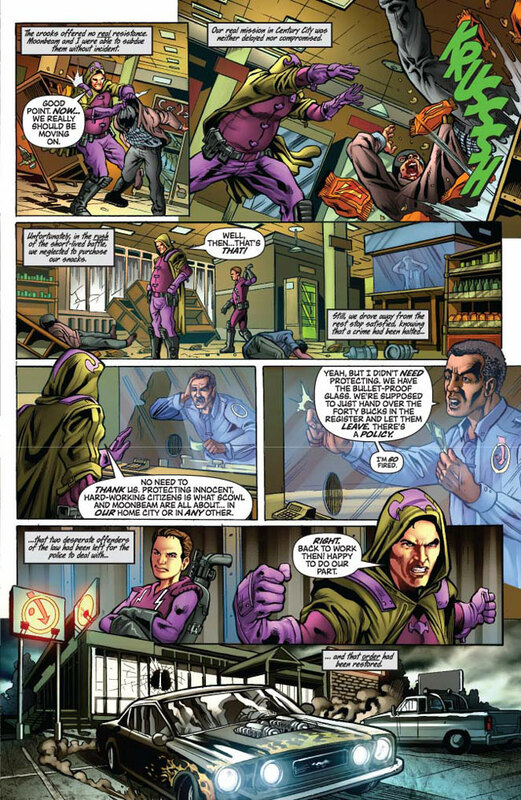 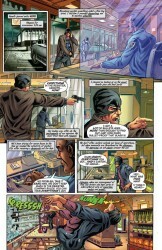 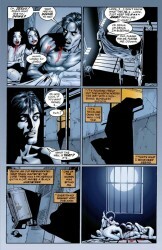 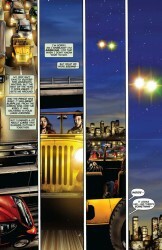 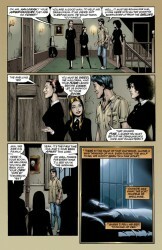 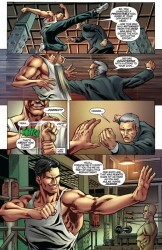 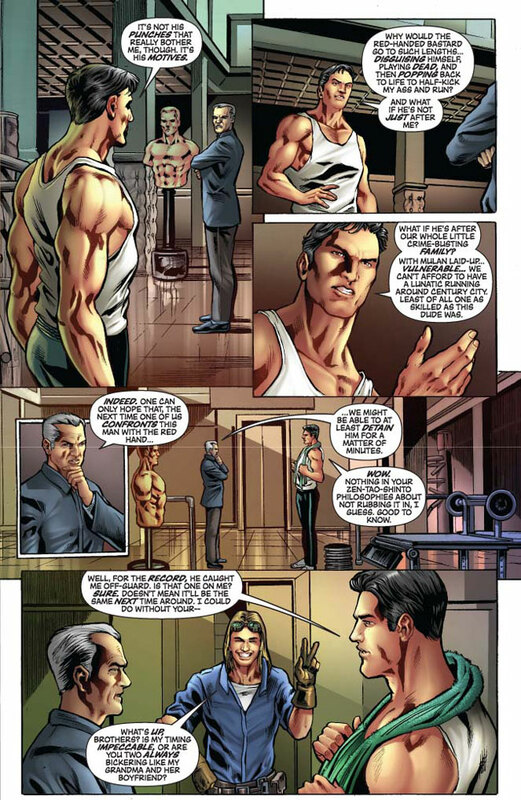 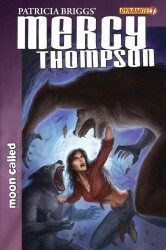 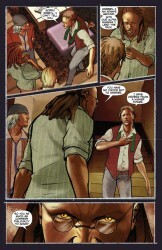 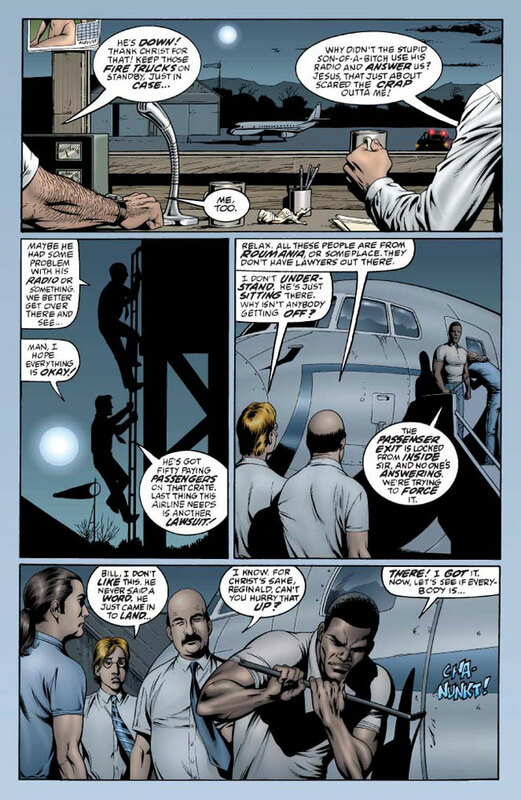 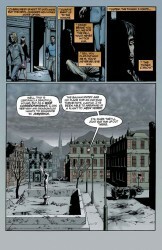 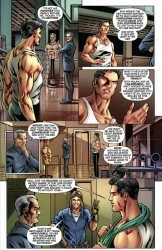 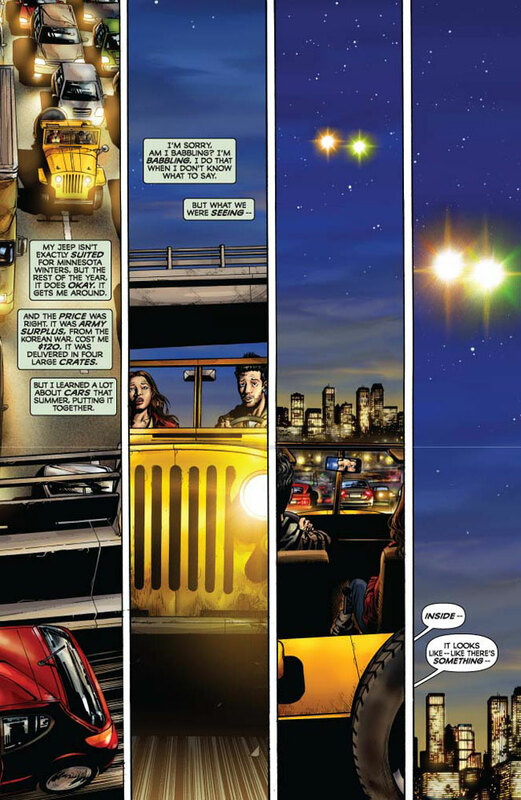 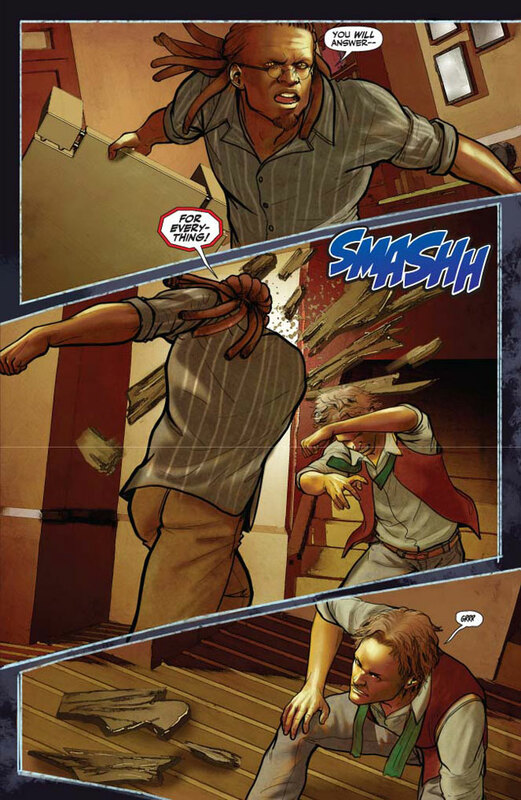 4: Visionaries trade paperback. 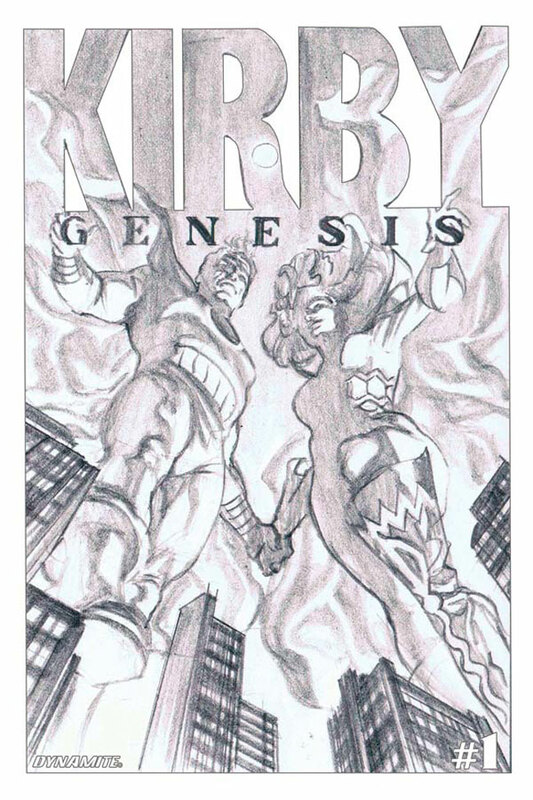 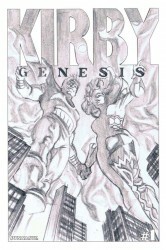 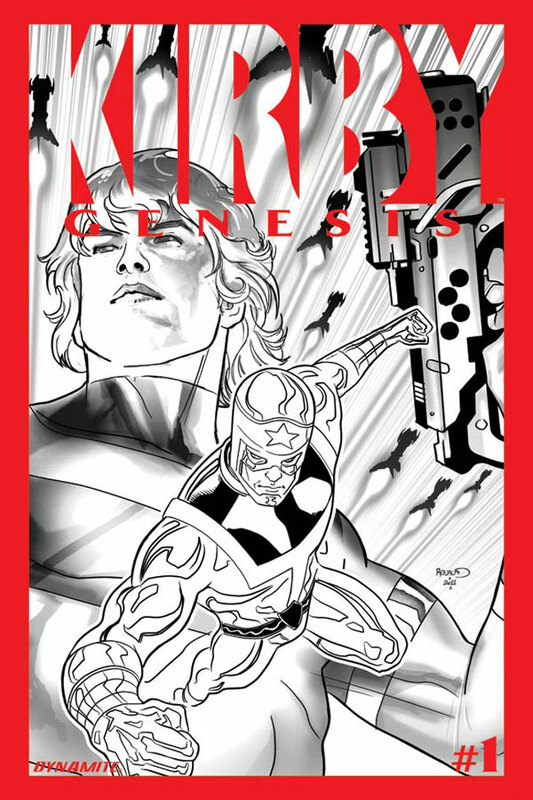 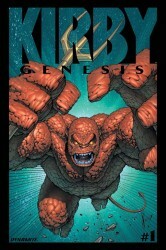 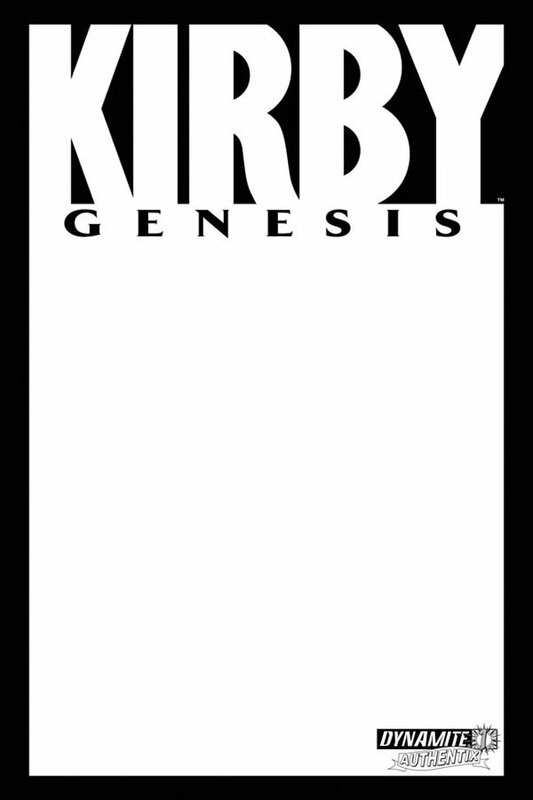 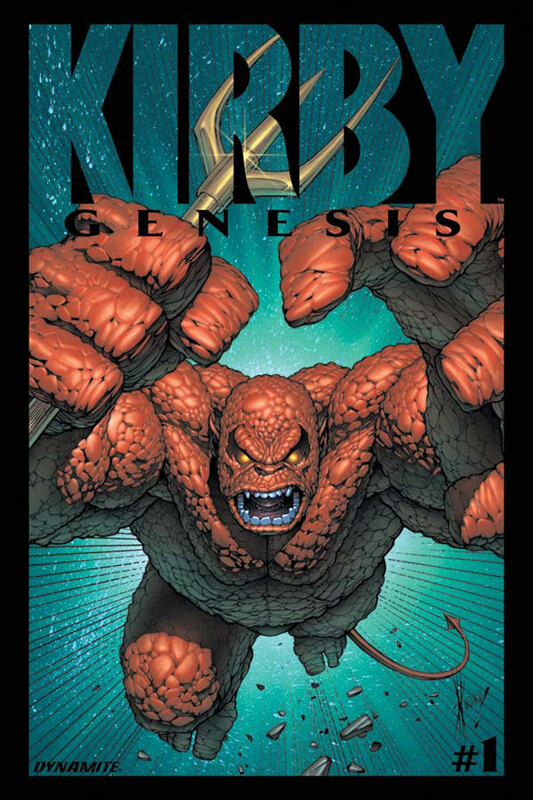 KIRBY: GENESIS explodes into action! 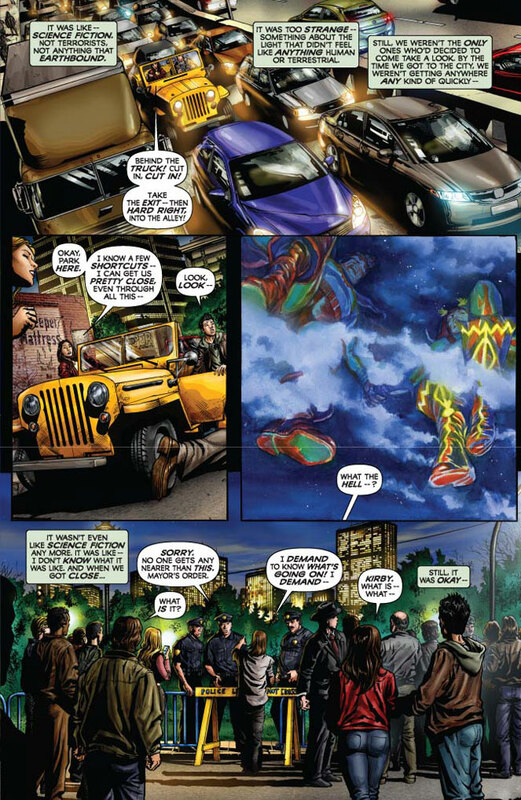 A message to space has been heard and answered — but what has come to Earth isn’t what anyone would expect! 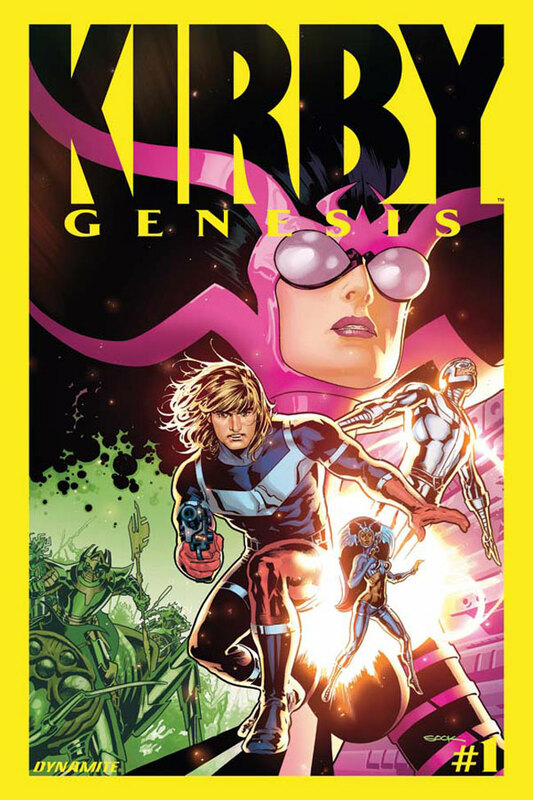 As cosmic visitors begin to be revealed to the world, a deadly battle begins — and three ordinary people are caught up in it. 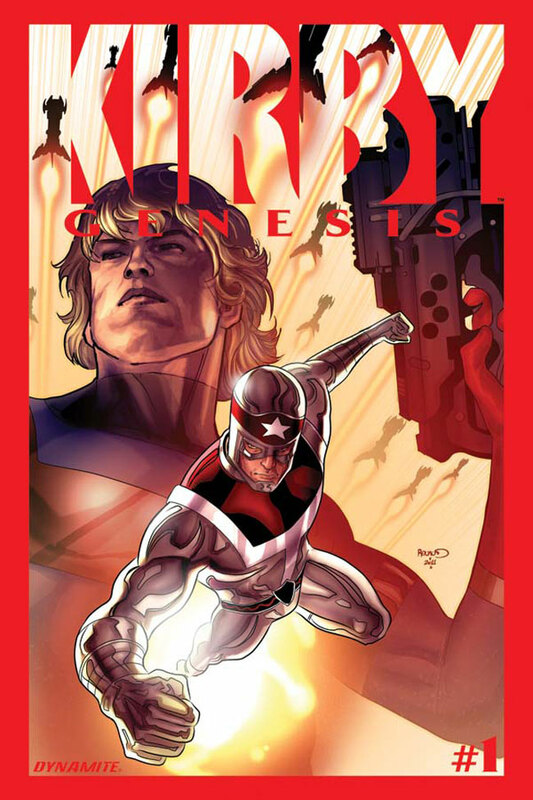 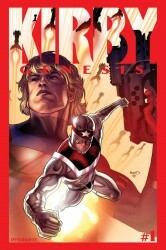 Featuring: Captain Victory, Silver Star, the Glory Knights and more — and this is just the beginning! 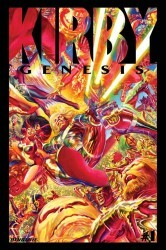 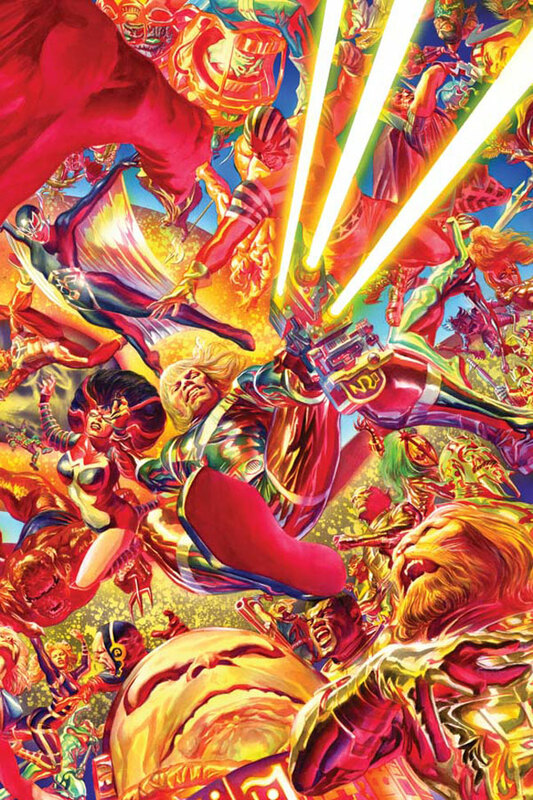 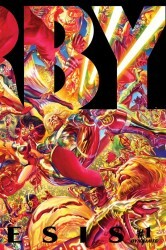 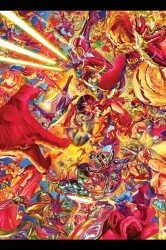 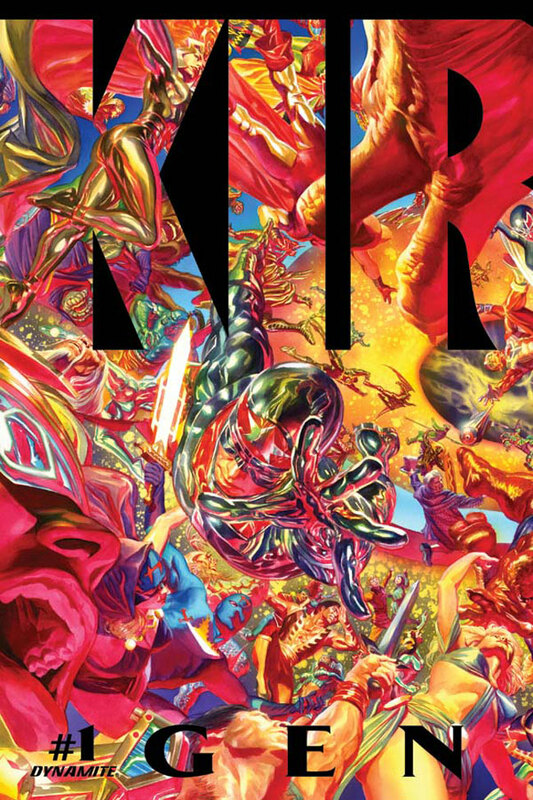 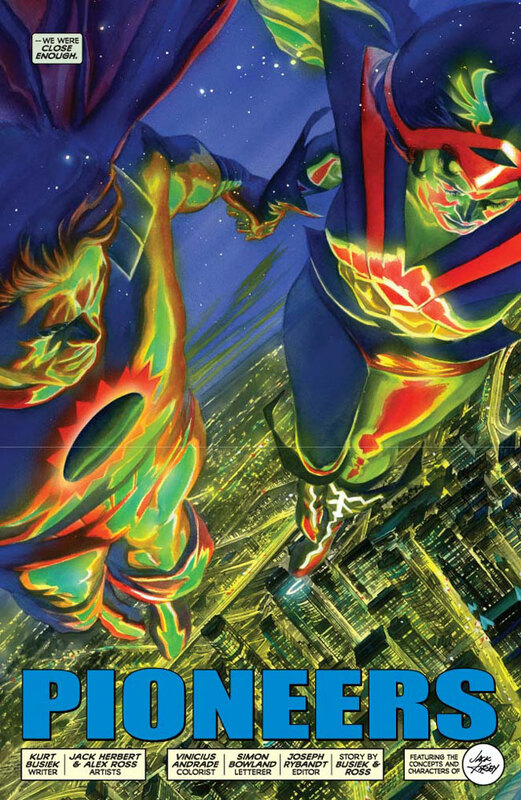 Superstars Kurt Busiek and Alex Ross bring Jack “King” Kirby’s creations to life in a way you’ll never forget! 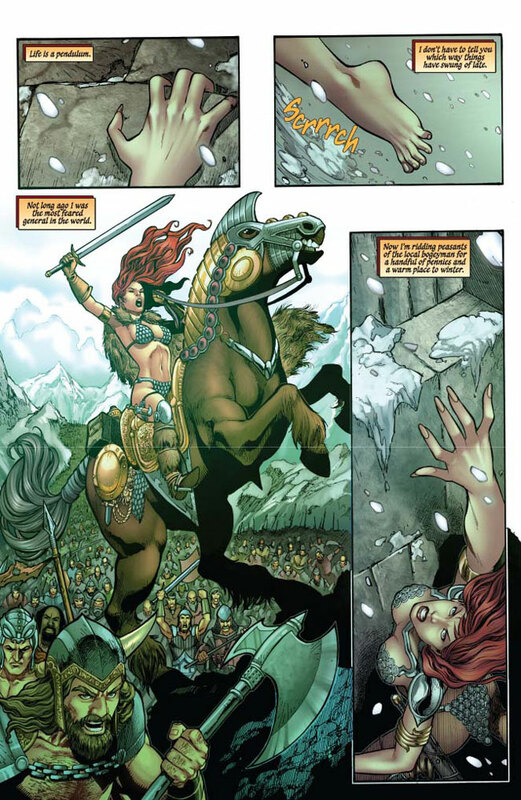 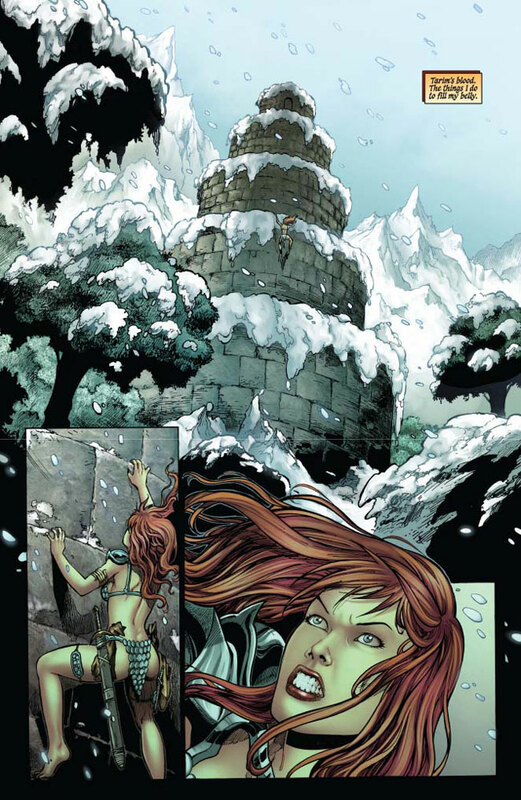 Peter V. Brett, New York Times bestselling author of the Demon Cycle, takes the reins for this special issue, teaming up with fan favorite artist Walter Geovani to take Red Sonja back to her barbarian roots-and the She-Devil isn’t going without a fight! 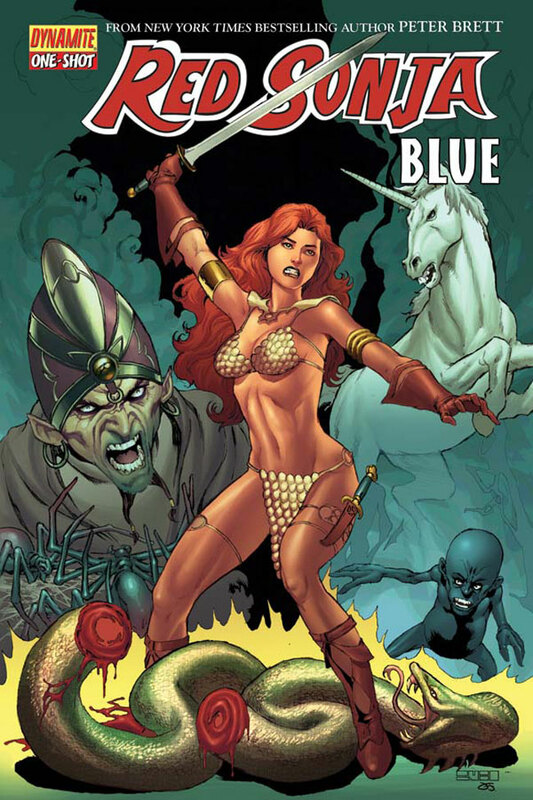 When an unfortunate encounter with a demon deprives her of her trademark chainmail bikini, Sonja is forced to don a familiar blue fur tunic for the remainder of this adventure. 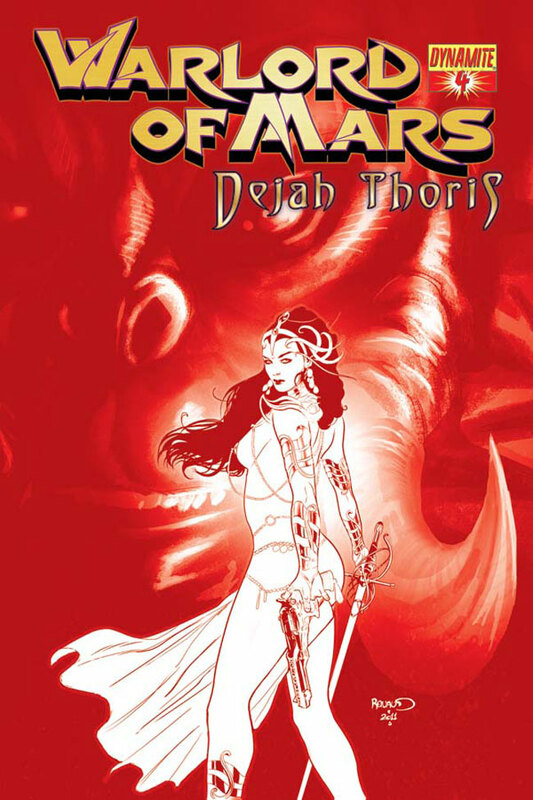 Brett brings a mix of deft characterization, wry humor, and hard action to this one-shot homage to the Sonja legacy, honoring longtime fans while offering the perfect self-contained story for new readers. 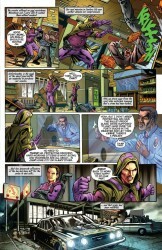 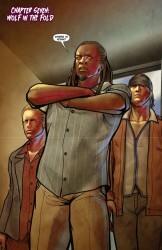 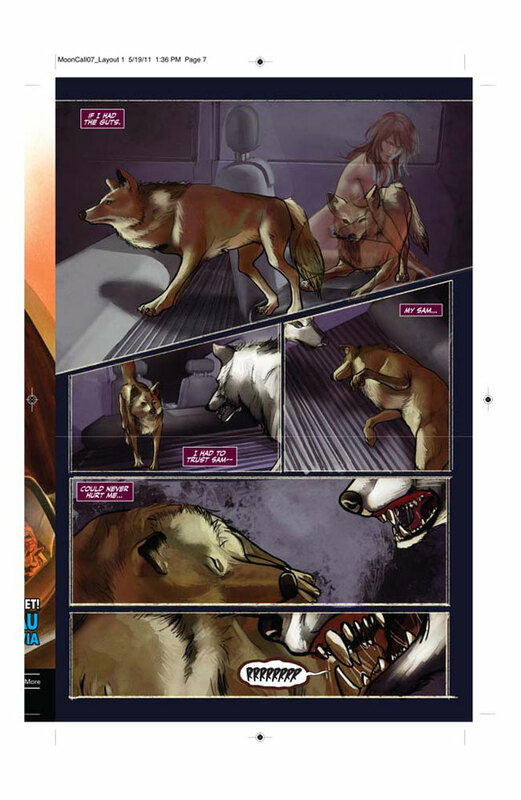 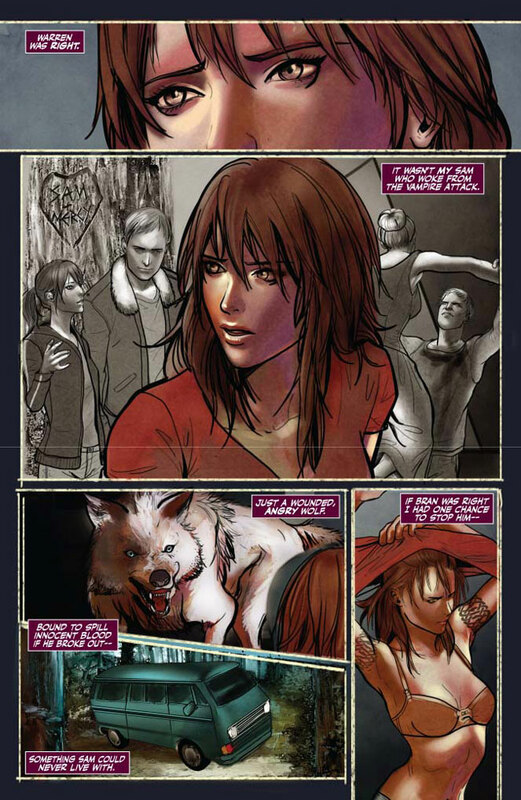 The mysterious and deadly Redhand makes his move againt the Kato family. 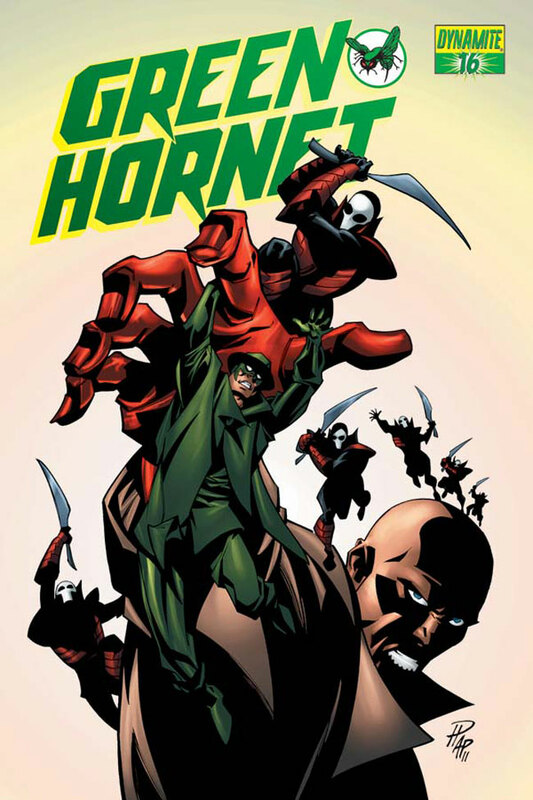 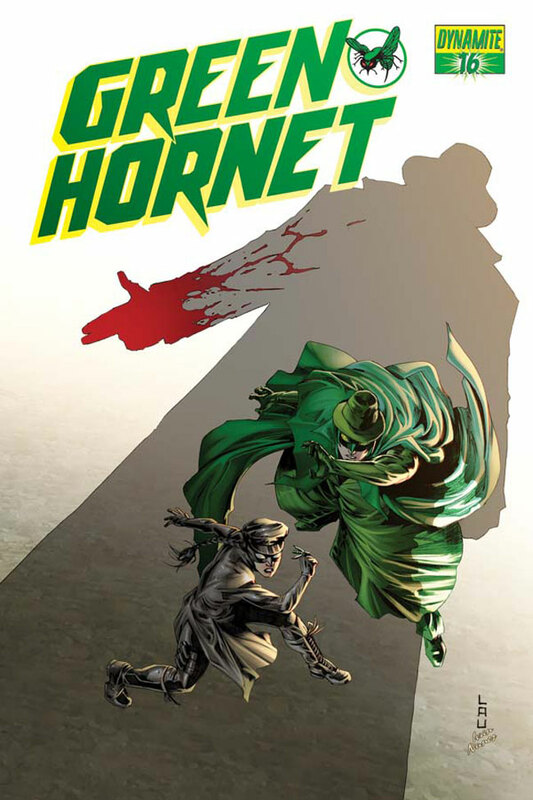 With Mulan ailing, and Hayashi guarding her, it falls to Green Hornet to stand alone againt the deadliest foe he has ever faced. An enemy with training and knowledge surpassing even his, an enemy who can’t be found… until he strikes. 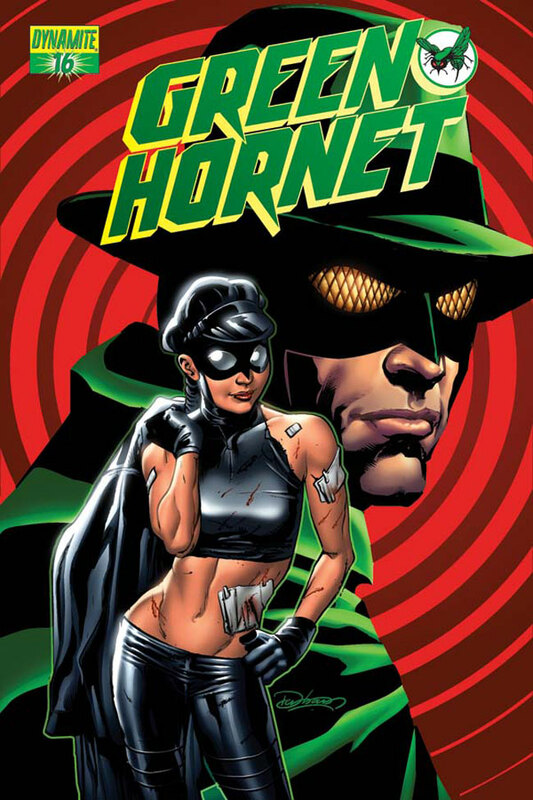 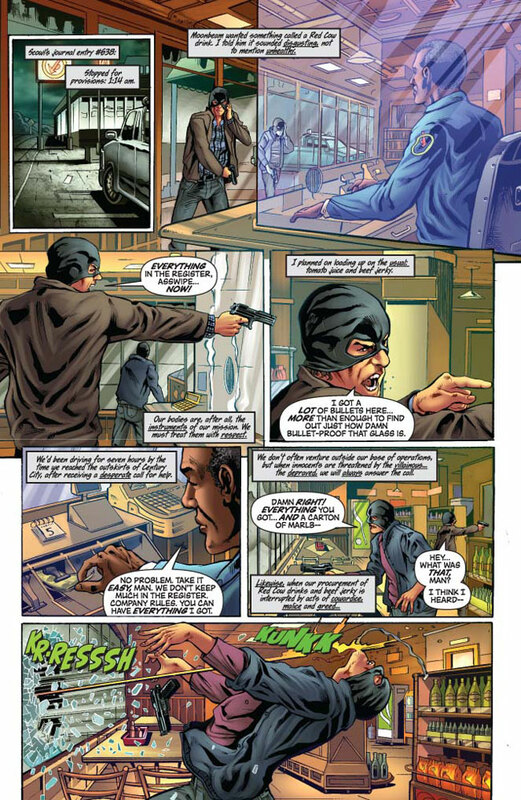 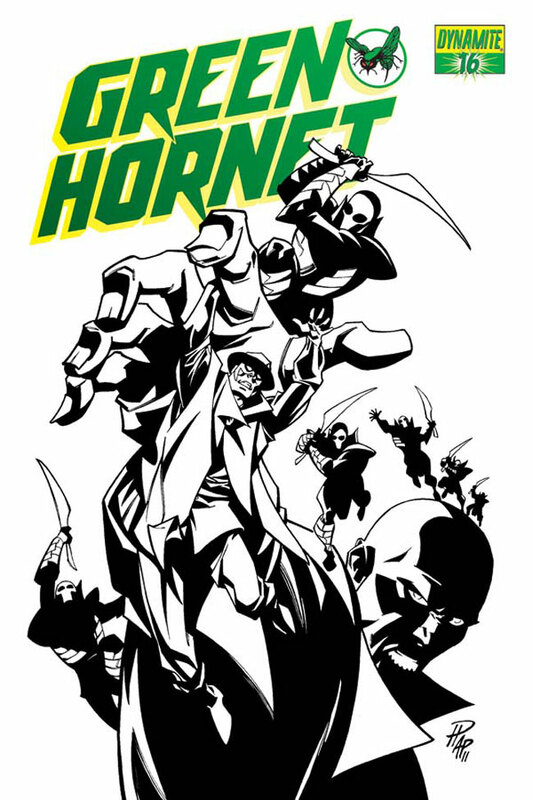 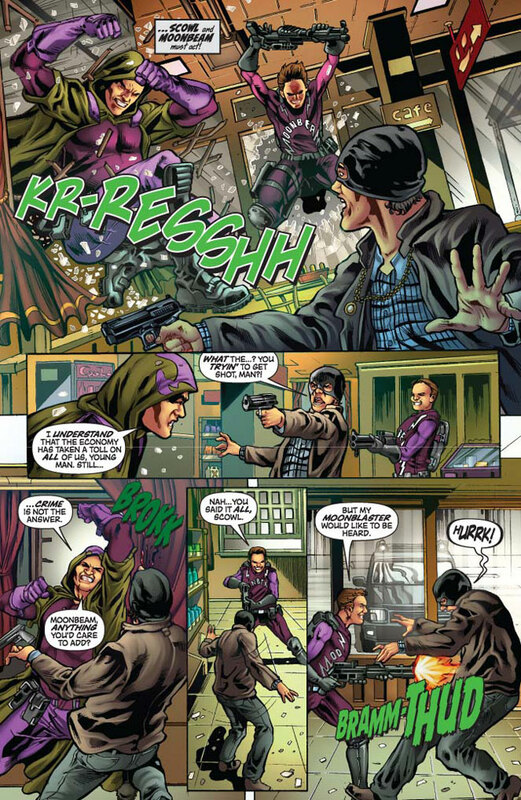 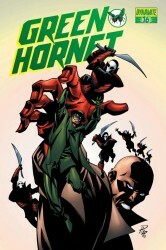 Don’t miss the introduction of the greatest villain in the Green Hornet universe! 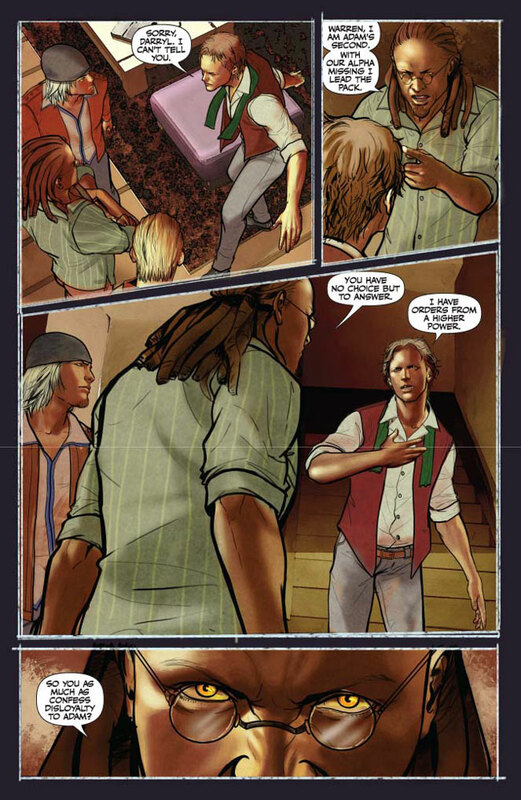 The best writers. The best artists. 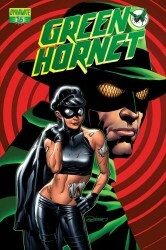 The best horror. 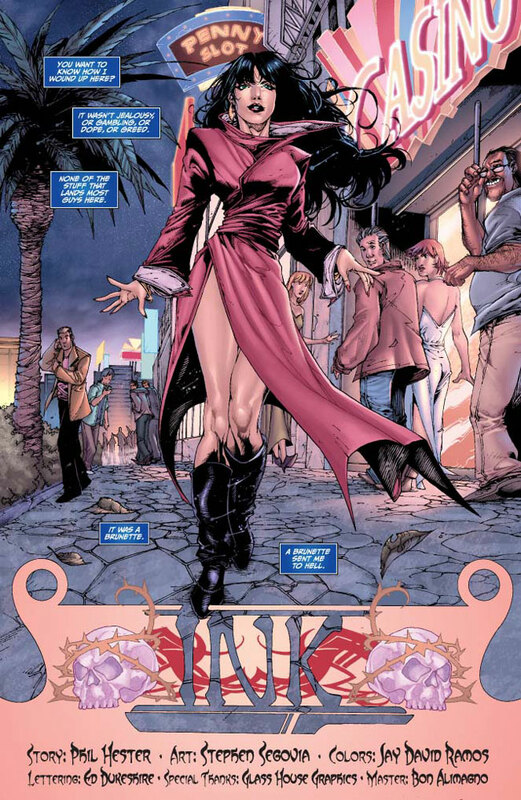 Vampirella has always been associated with some of the greatest names in the industry and this fourth volume of the Vampirella Master Series collects stories by a stellar line-up of talent. 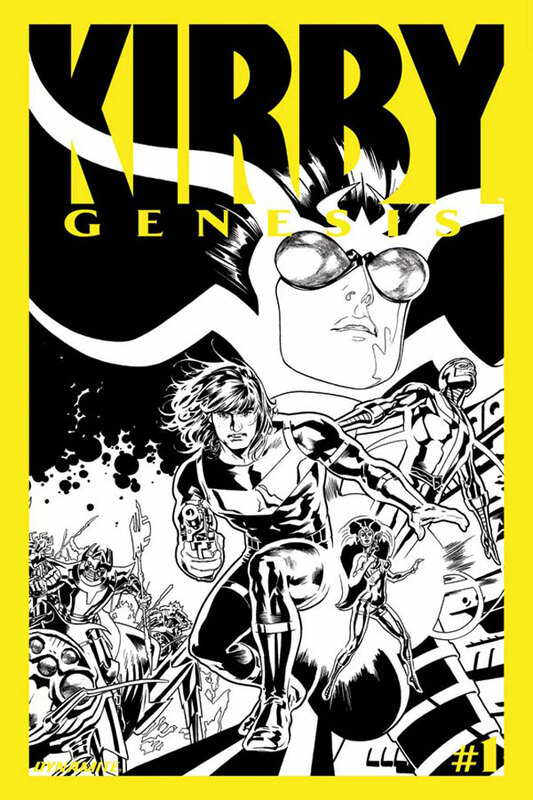 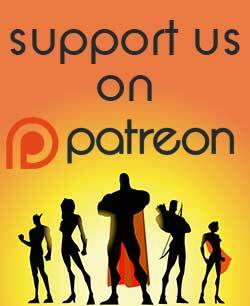 And featuring covers and pin-ups by Mike Mignola, Jae Lee, Frank Frazetta, John Bolton, and more!